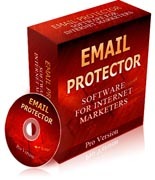 Get Ready to Give Your Business a Huge Upgrade, Because You're About to Discover the Time Saving, Profit Boosting Magic of Email Protector Script! This is a very simple script that is used to safeguard your email address from Web based email harvesters. Instead of announcing the information in your form code, your email address is safely "hidden" in a separate PHP file. You can easily edit the contact page to match the look and feel of your website as well as change or add any wording that you feel is necessary. A few minutes of your time permanently and effectively prevents spambots from capturing your email address. Gives you the ability to quickly and easily include a standard contact form that can't be "hacked.